This smaller hall with a permanent stage enchants you with its greater degree of intimacy and atmosphere of the old theater for which it was built. It is suitable for social events, film screenings or symposiums. 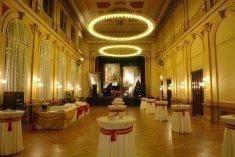 This venue is connectable with the Social hall. The smallest of our halls is illuminated by a combination of skylights and artificial lighting. 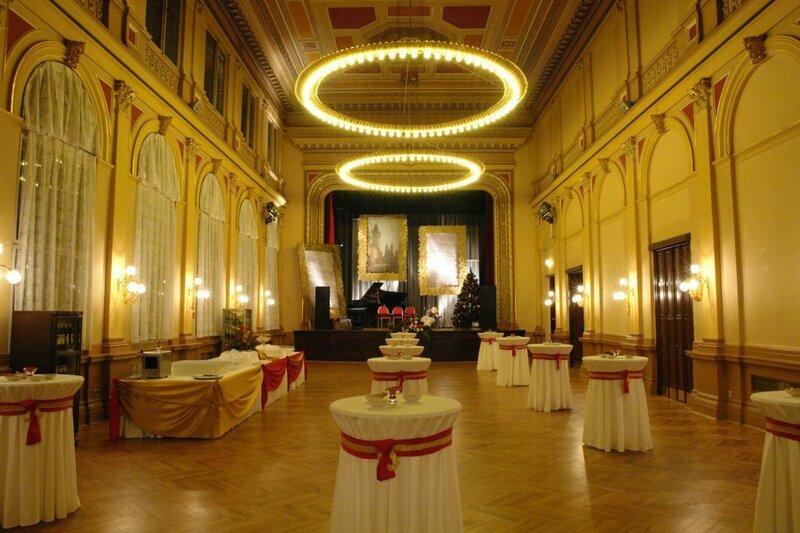 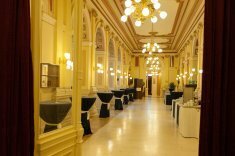 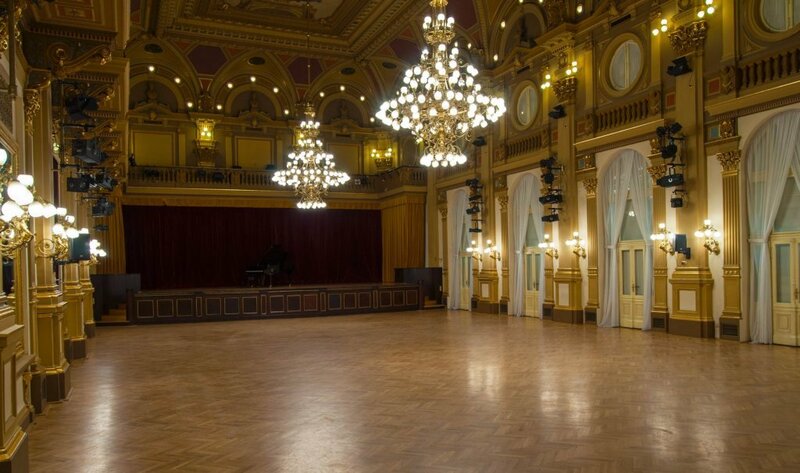 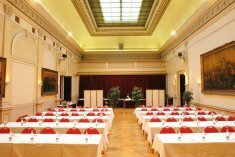 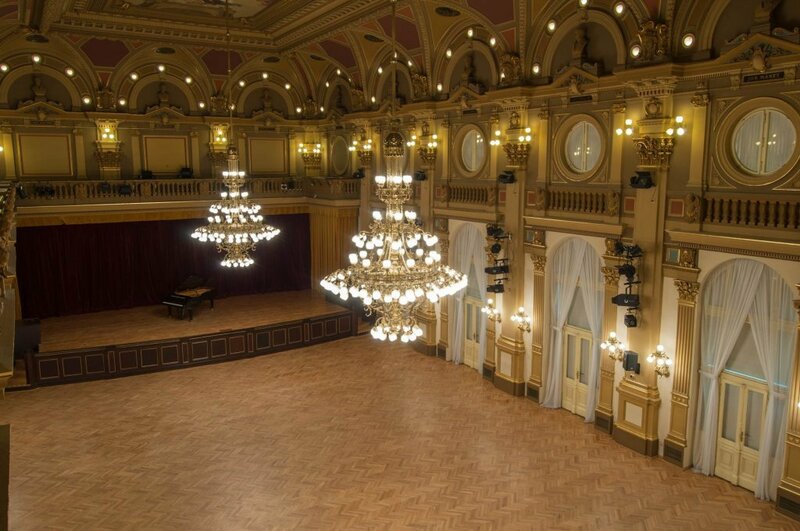 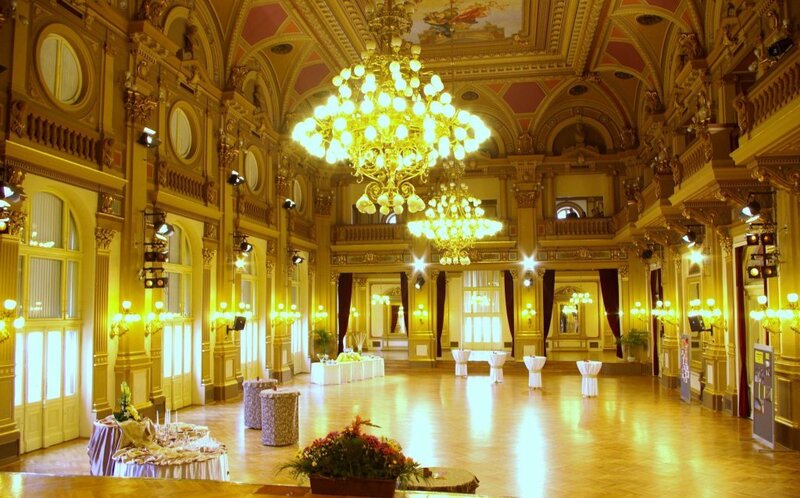 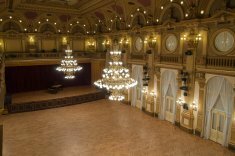 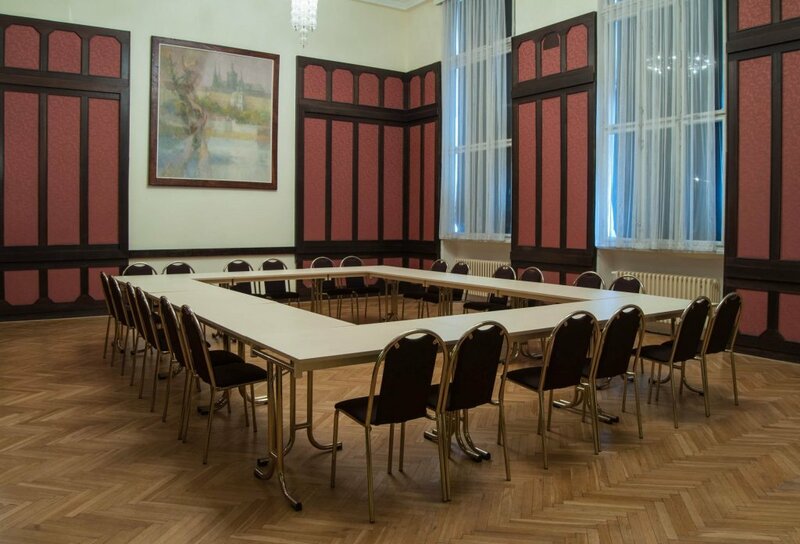 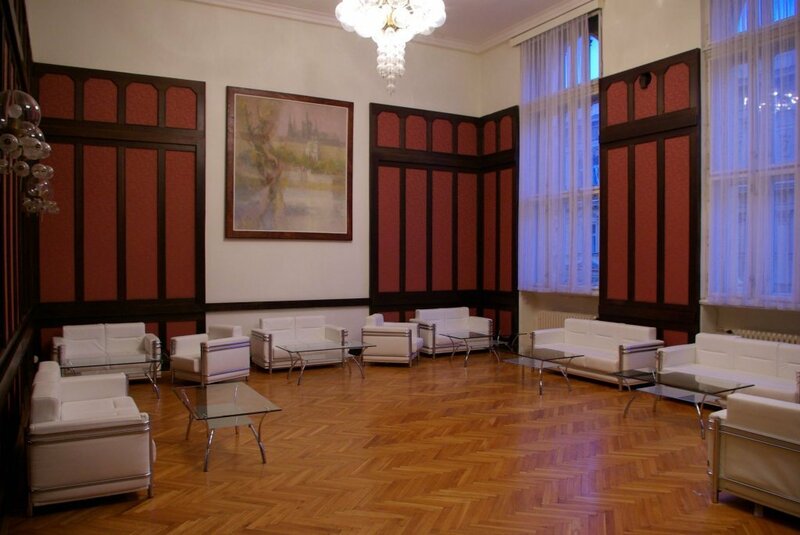 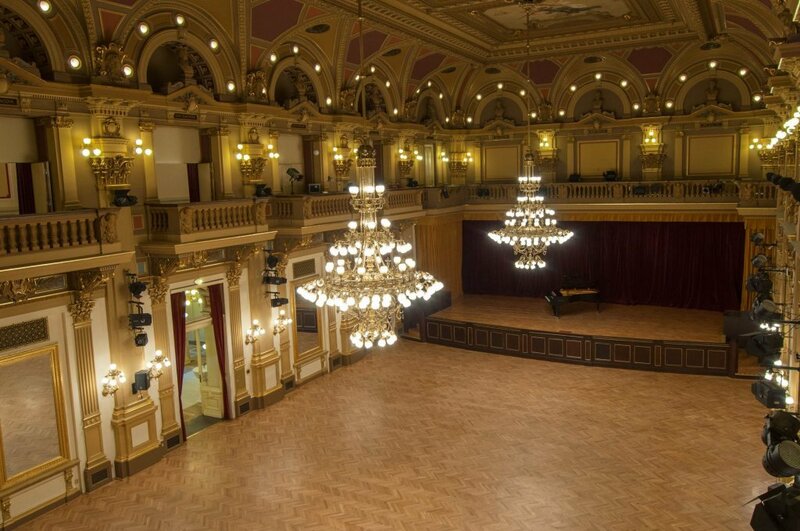 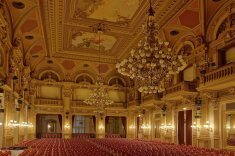 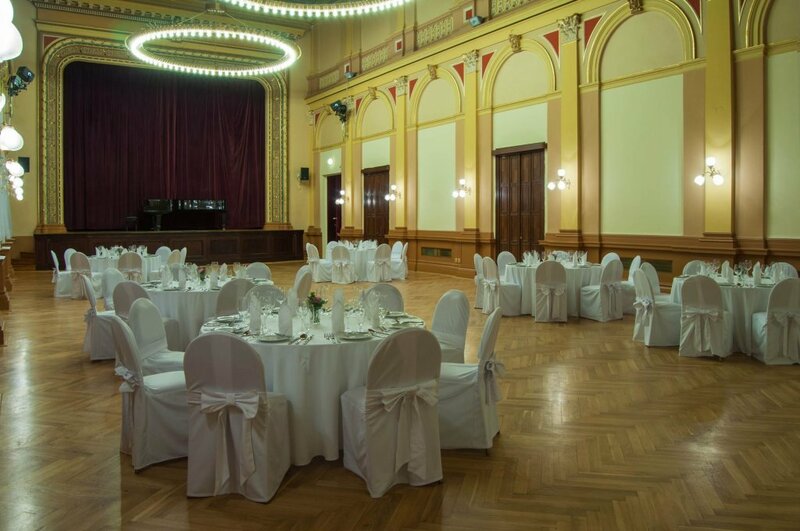 It is connectable with Rais hall and for that it often becomes the center of large events such as balls, concerts, gala dinners or meetings. 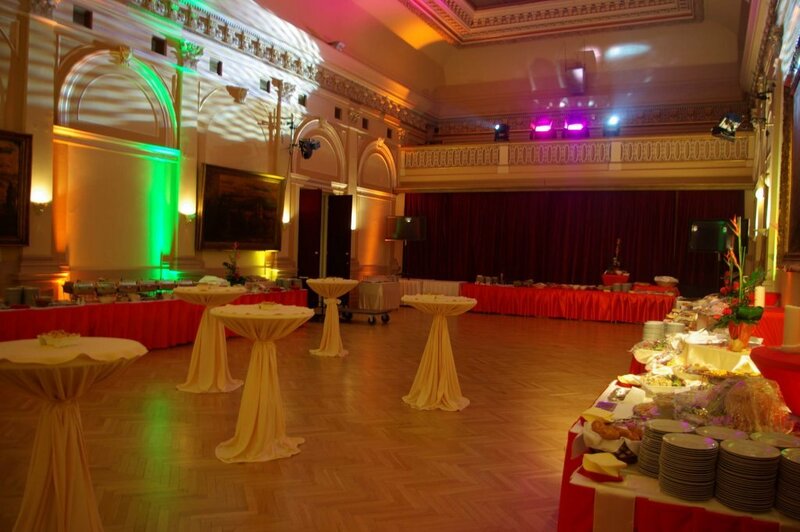 Because of its location it can also serves as background for the external catering company. 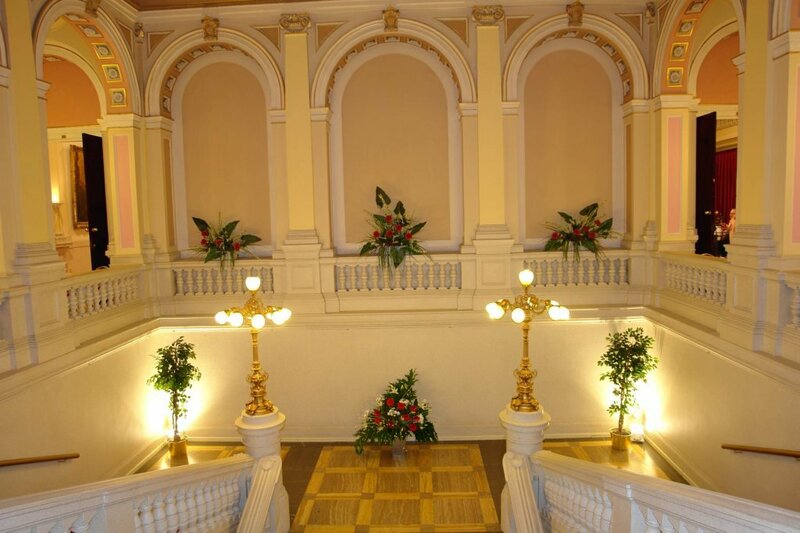 There are three halls on the second floor: Mayakovsky, Rais and Social hall, and two meeting rooms. 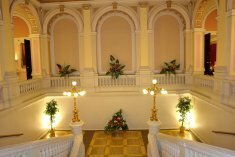 Foyer is often used – beyond connection part – for welcome drinks or for sponsor presenting. In the foyer there is permanent bar installed. 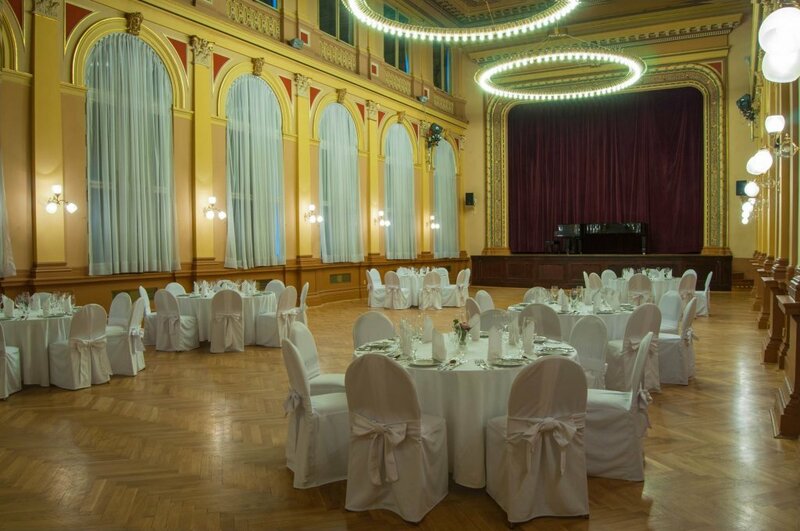 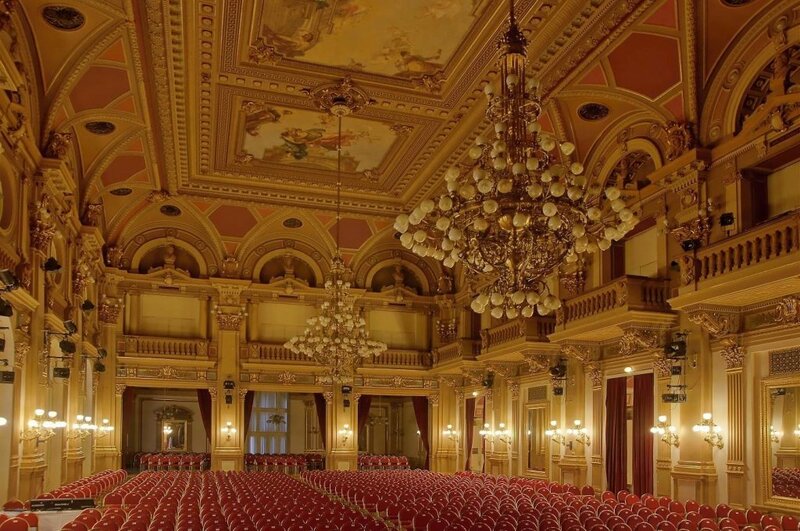 The biggest and most spectacular hall of National house of Vinohrady is used for all types of events: gala dinners, concerts, theatre performances, conferences or ceremonials. 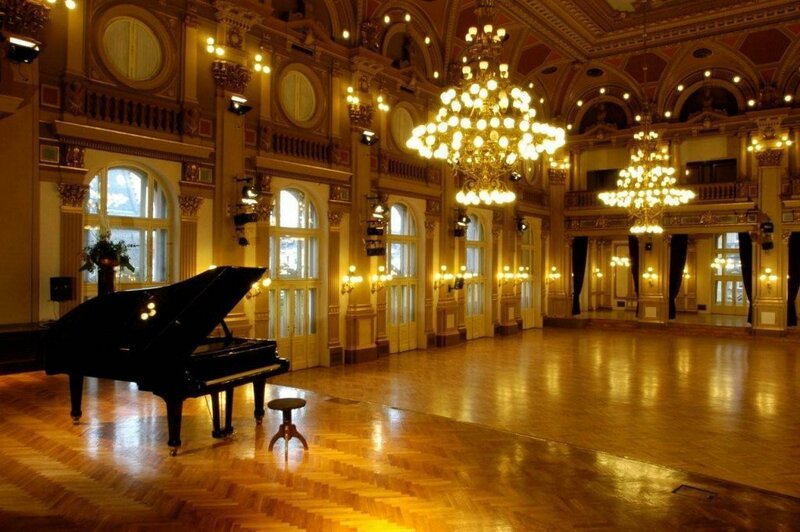 The chandeliers are probably the most valuable relics from the end of 19th century. 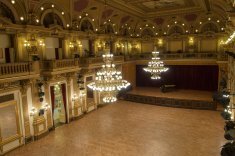 There is a permanent stage in the venue. 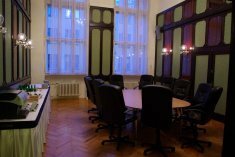 The smallest of our meeting rooms is connectable with the basement of Mayakovsky hall and is often used as a dressing room for performers. 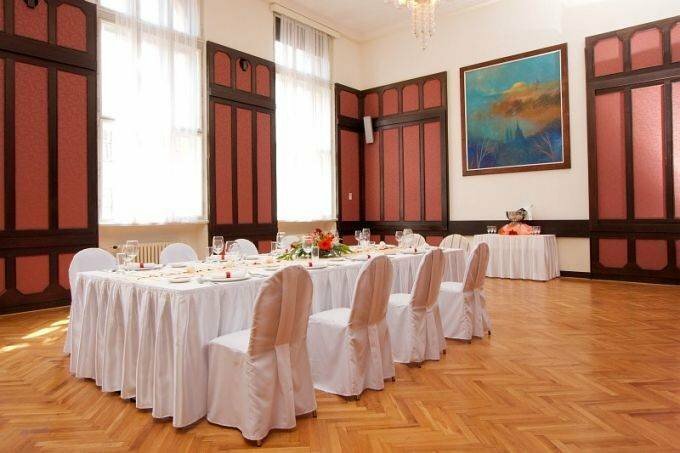 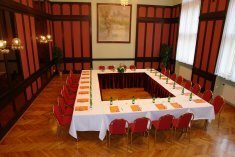 It is also well suited for more opulent events such as small corporate parties and VIP meetings. Its capacity is 35 people. 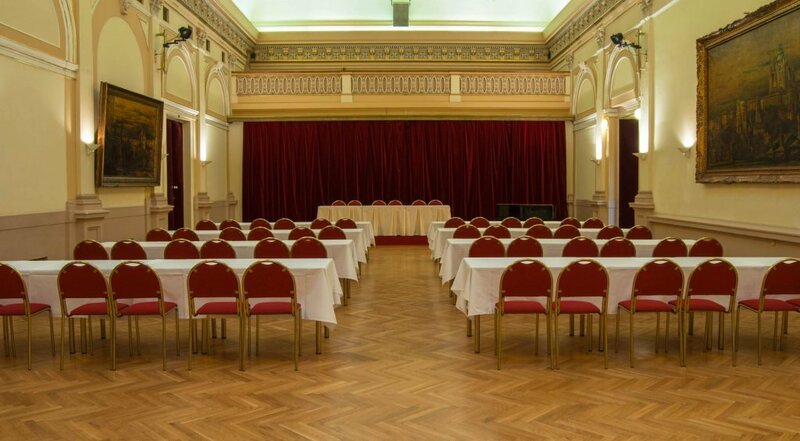 This venue is suitable for holding exceptional events such as weddings, press conferences or company presentations, all for its beautiful atmosphere. 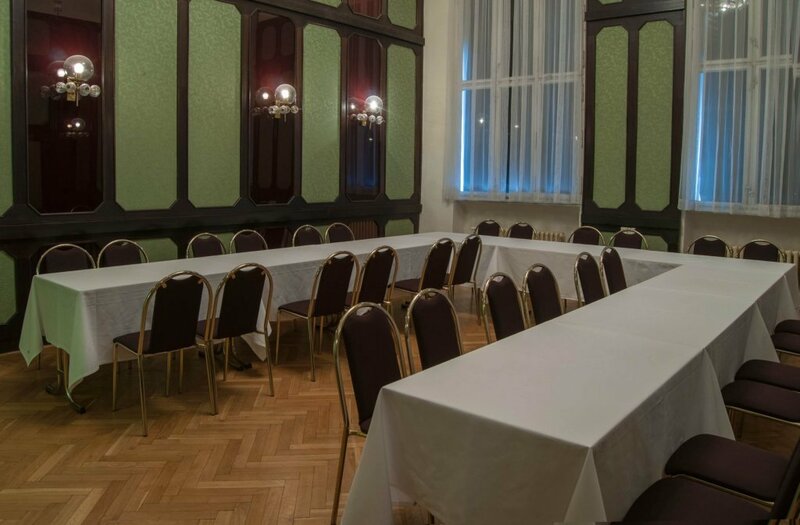 The capacity is 70 people.